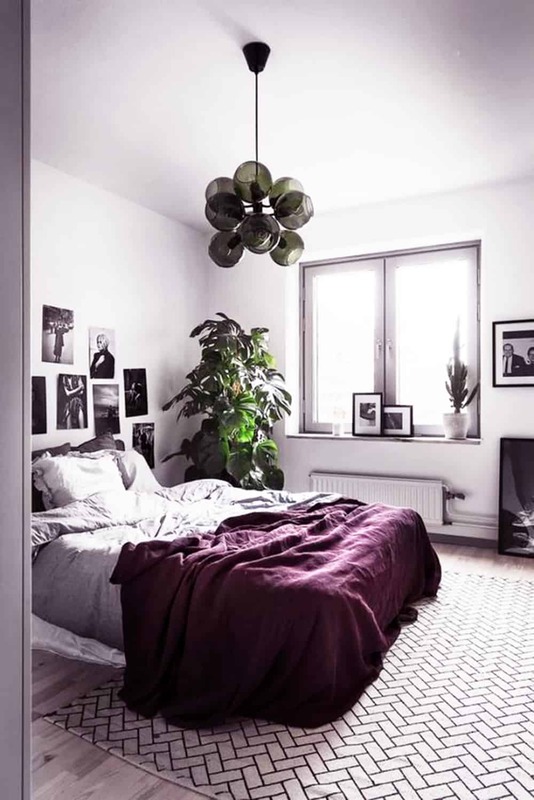 If you like to be aware of the last decor trend you already know what will be the big color tendency in 2018. Last December Pantone announced that the color of the year is a vibrant shade of purple, called Ultra violet. If you’re unsure of what Ultra Violet is, remember that violet is different than purple even though they are often used interchangeably. Of course both colors are made by combining blue and red, but violet carries more forceful blue tones. Think of it as a cosmic shade of purple as its hues remind us of planets and far off galaxies. While the color of the moment is very striking, I don’t recommend it take over your entire world. As we are rather in a movement of natural materials and neutral tones it’s definitely an interesting proposition. Unlike the Greenery of last year, purple is not among my favorite colors. 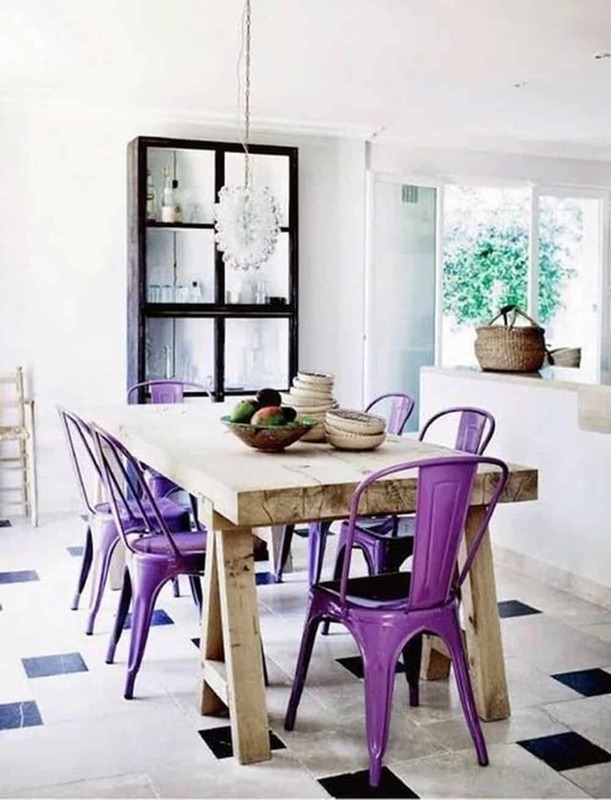 So I went on Pinterest to see how bloggers and decorators have managed to integrate the “ultra violet” in their home. I’m definitely not a fan of the total purple look, much too oppressive for me. By cons, I have to admit that small touches of it adds dynamism and fun to the rooms. Among the examples I have selected, I totally fall in love of the antique painted furniture. 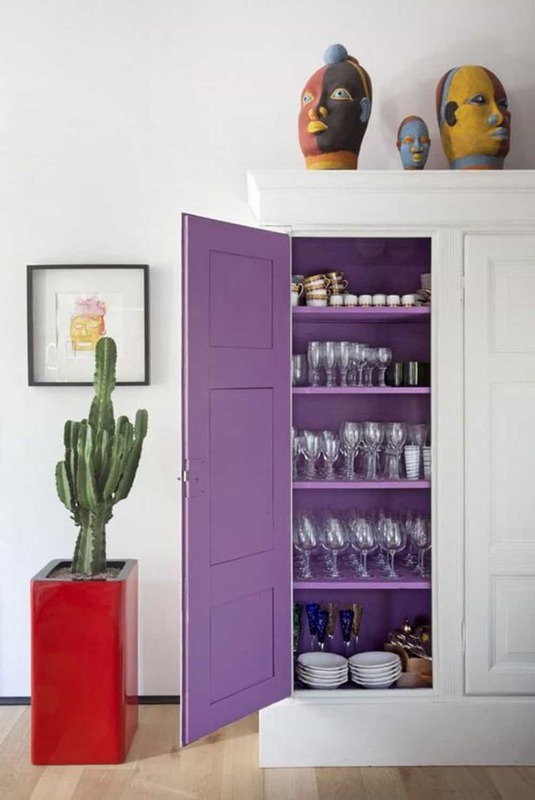 Don’t you find the inside of this cupboard absolutely gorgeous? Plus it can be a nice a easy DIY project to upgrade any old piece of furniture. 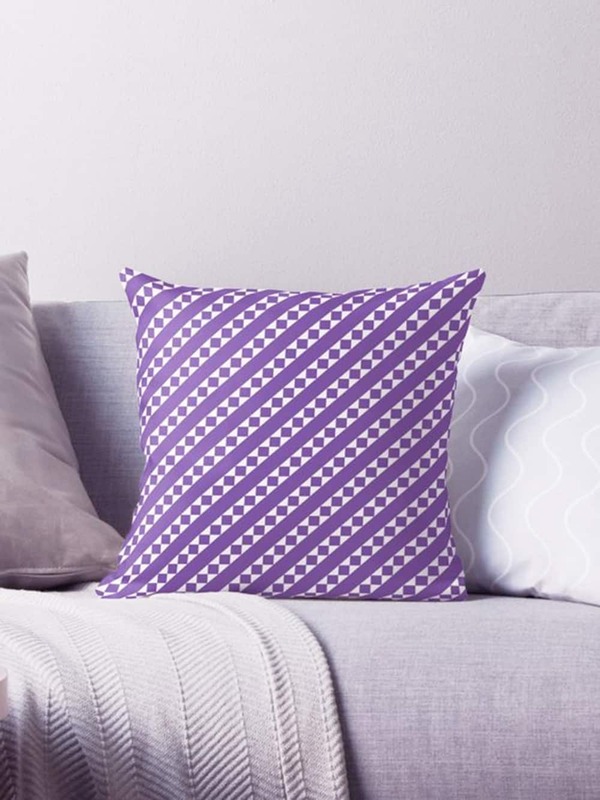 As always adding throw pillows and plaids is a simple and economical option to add a touch of color, purple in our case. 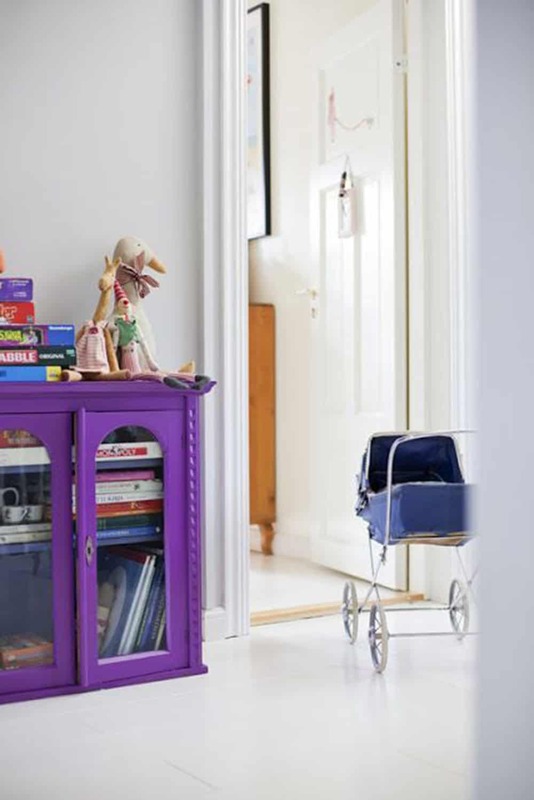 If violet is a shade you like and if you plan to have it around the house no matter the current trend, you can invest in some bright purple pieces of furniture or rug. 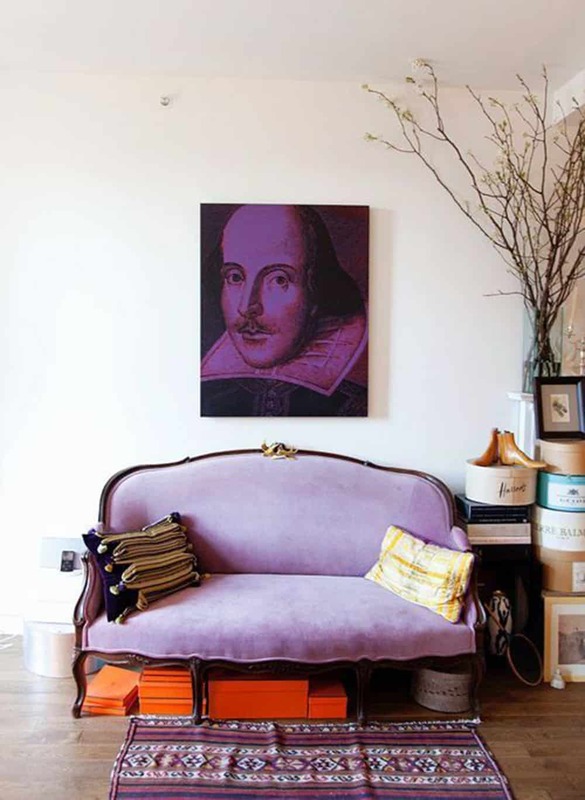 I must admit that this antique sofa looks absolutely lovely in this light purple shade. So tell me, you will succumb to the color of the year, or you will stay faithful to your usual colors?